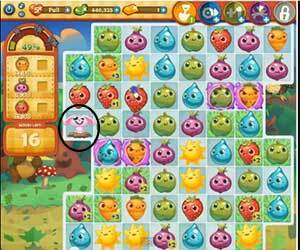 These Farm Heroes level 137 cheats and tips will help you beat level 137 of Farm Heroes. 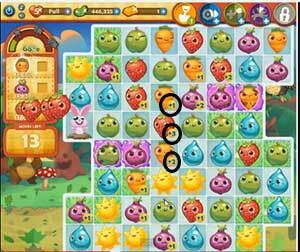 The objective of Farm Heroes level 137 is to achieve 100% growth while collecting 60 carrots, 40 onions, and 40 strawberries in 25 moves. 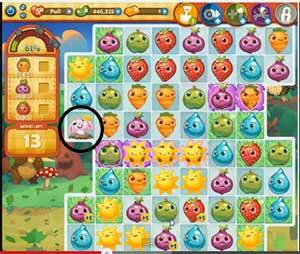 For Farm Heroes Saga Level 137, you have to collect the more carrots in this level than any other vegetable. There are also pesky rabbits that want nothing more than to eat the carrots, which takes them off the board and hinders your chance of collecting your goal amount. As previously stated, the rabbit can hurt your chances of collecting all the carrots you need to. You can momentarily stun him by either hitting him in the head with a shovel or making a match next to him. You need to collect a total of 140 vegetables in only 25 moves and there’s a rabbit that can get in your way as well. You need to use +1 boosters to add points to your matches to help run up the amount of vegetables you collect at one time.